“On the Hemp Farm with” is a series of interviews we conduct with people involved in the hemp field, this might include hemp farmers, shops, enthusiasts, companies, investors, and entrepreneurs. 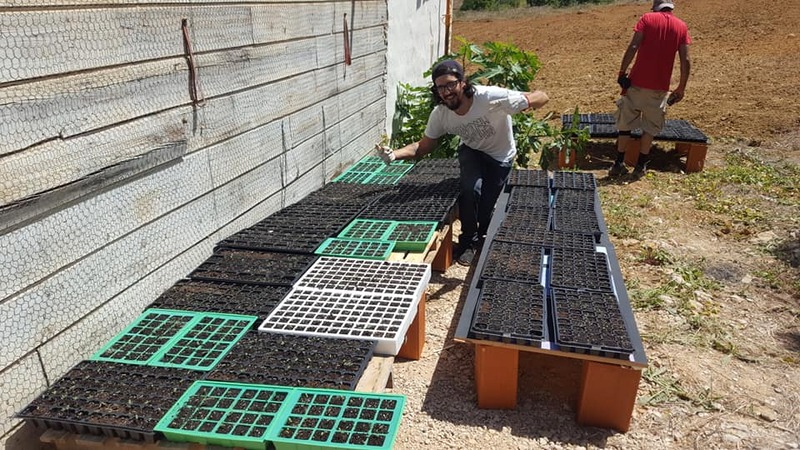 This month we interview Ricardo Pereira, founder of HempLife - a hemp farm located in the south of Portugal, Algarve. How did you come up with your business idea? I've always loved the plant Cannabis since I was very young. I always believed that this plant could really make a big change in the world and we are witnessing it right now! I did some research and found out that planting Hemp is legal in Portugal, so I decided to take a shot at it. I really believe this industry has a lot to give. How important is Hemp to the project? It is the Holy grail of the project for sure! Who is your primary audience - and who is the more unexpected one? Nowadays we have much more people informed about the beneficial effects of cannabinoids, so I would say that we aim for people from 8 (with parental consent, of course) to 80 years old. The more unexpected I would say is everyone who is uninformed regarding the legalization and everything else related to this plant. I realized people jump to conclusions when talking about it, and I really want to change that. What is the greatest difficulty you feel about HempLife? I would say the burocracy and some regulations about the licence for planting Hemp. And your biggest achievement? Having a Hemp Farm/business. What are the upcoming challenges or plans to develop HempLife? Setting up a platform to help others to become Hemp related businesses and make a change in Portugal. What tips can you give us and to anyone starting and/ or wanting to develop their own Hemp business? If it really moves you, no matter what anybody says, just go for it!